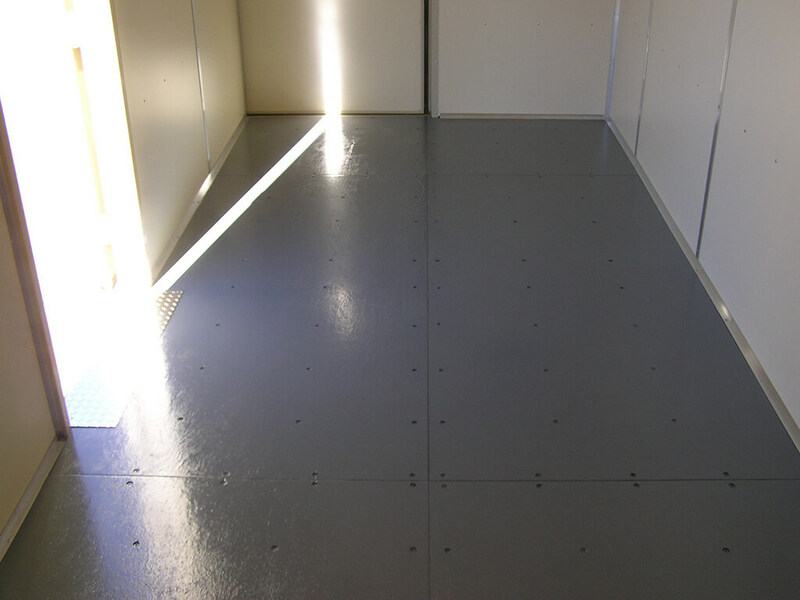 The floor of a shipping container is typically comprised of 1-1/8” thick marine plywood. 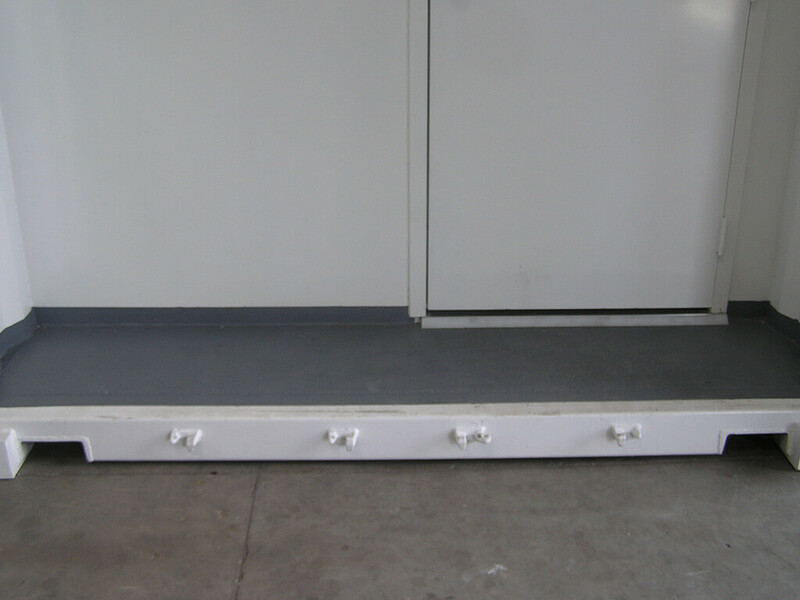 In its original condition, the wood floor is suitable for most aftermarket applications. 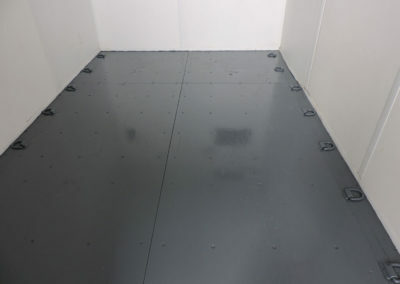 However, some aftermarket uses call for the floor to be customized. 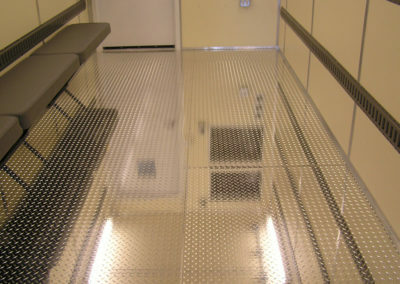 We are able to install a variety of specialty flooring including steel overlay, vinyl flooring, spray liner, or VCT Tile. Or if your project requires it, remove the floor completely. 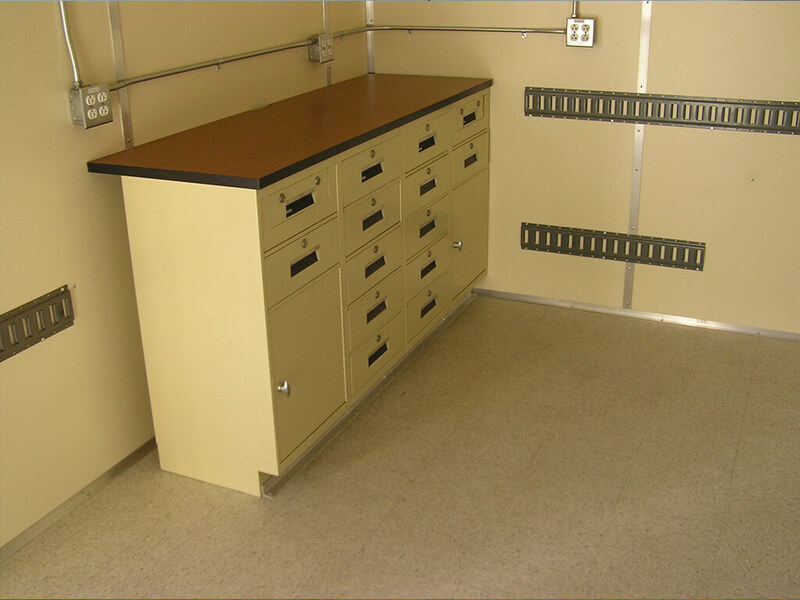 Maloy Mobile Storage can use Spray Liners, Coin Mat Flooring, Aluminum Diamond Tread Flooring, Steel Flooring, and VCT Flooring. 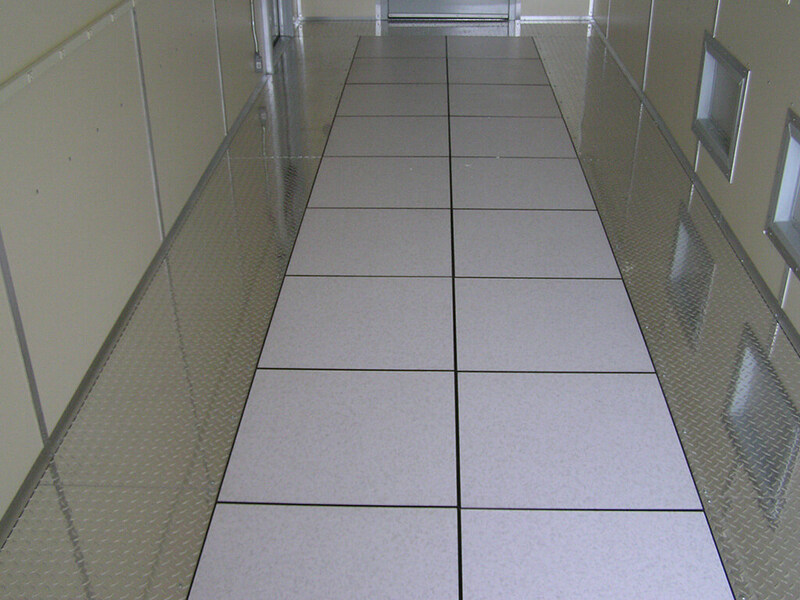 We have the resources to provide for your project flooring requirements. Spray Liners are a perfect solution for a container which may have modifications where liquids will be used and consideration of leak protection is important. 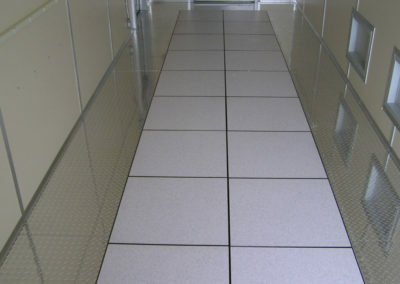 This flooring is easy to clean and water resistant. 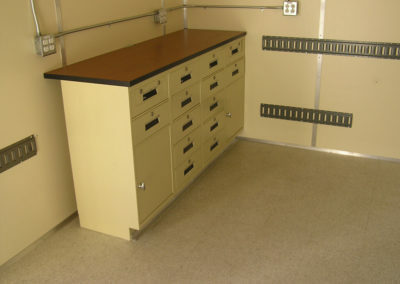 Coin Mat flooring has rubber circles for traction, is easy to clean and very durable. Gray is the most utilized color. Aluminum Diamond Tread flooring can withstand high traffic, is extremely durable and easily maintained and is a sharp looking in a container. 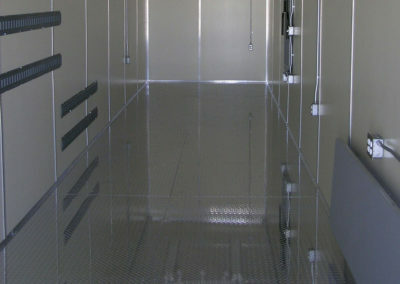 Steel Overlay Flooring is commonly used in containers as it provides durability to withstand the elements. 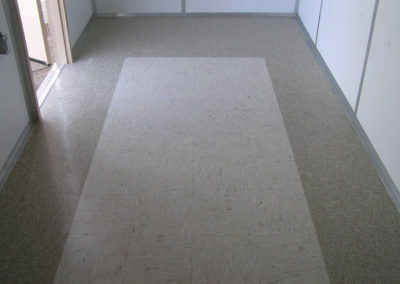 VCT Flooring is used in most commercial buildings. It is the most common to see in containers. 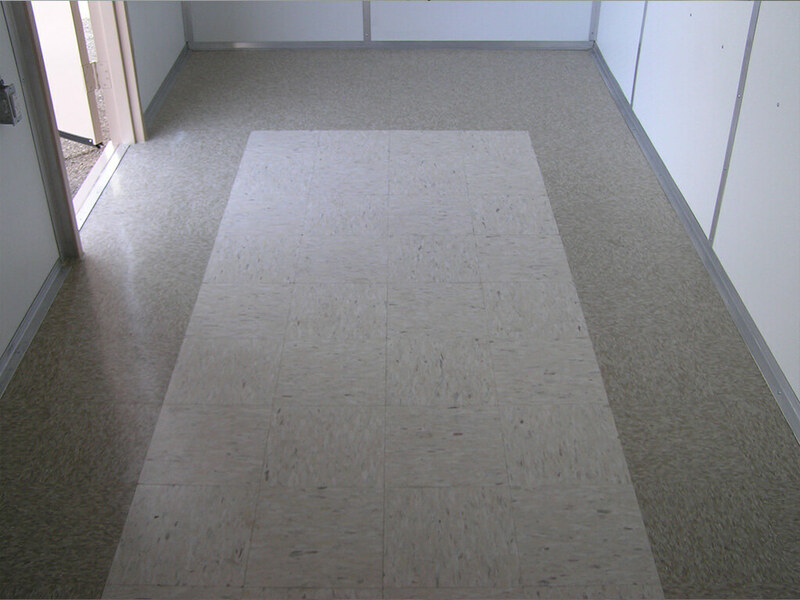 VCT flooring ensures long lasting good looks in high traffic areas, is available in designs that help mask scuff and soil marks, and is known for easy cleaning. 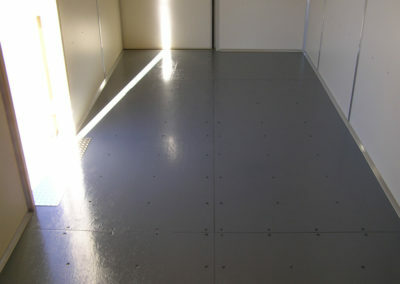 There are many types of flooring. 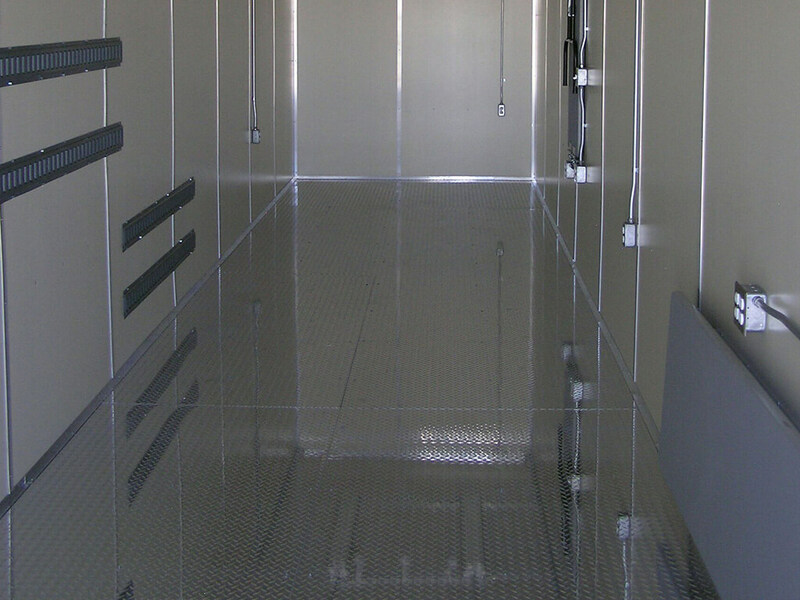 We have the basics to select, however, customizing your storage container is what Maloy Mobile Storage does best. We have an excellent facility and staff to place your vision into reality. If you would like to learn more, please come by our location at 535 Comanche Rd NE Albuquerque, NM 87120 or call a sales specialist at 505-344-6123.